I have been lucky enough to test out some amazing beauty essentials these past couple of months. I was contacted by an amazing company that specializes in hair vitamins, Bali Secret. Let's be real- all girls worry about their hair and want the most beautiful, lustrous locks- think Cher, circa 1975. 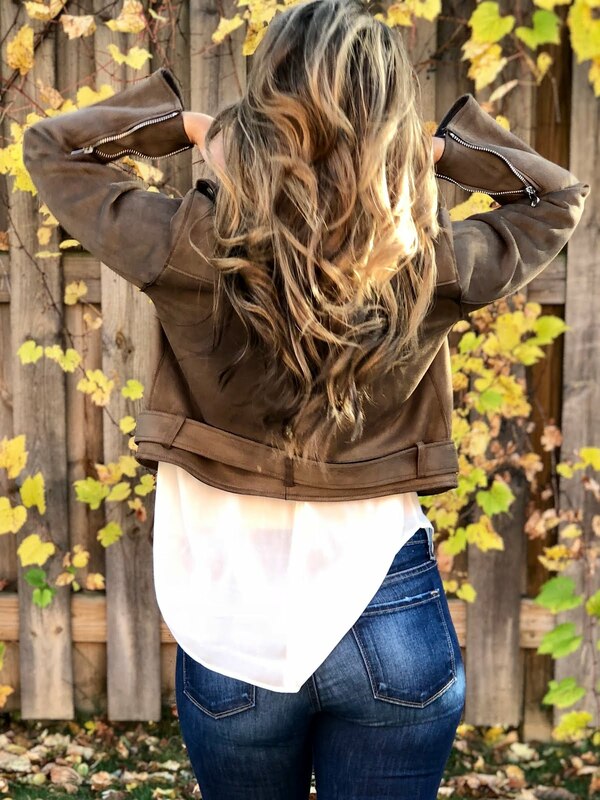 It's not always easy though, we straighten and dye, hi-lite and curl the heck out of our strands, all the while expecting our hair to maintain shine and volume, grow and style just perfectly. Dream. On. 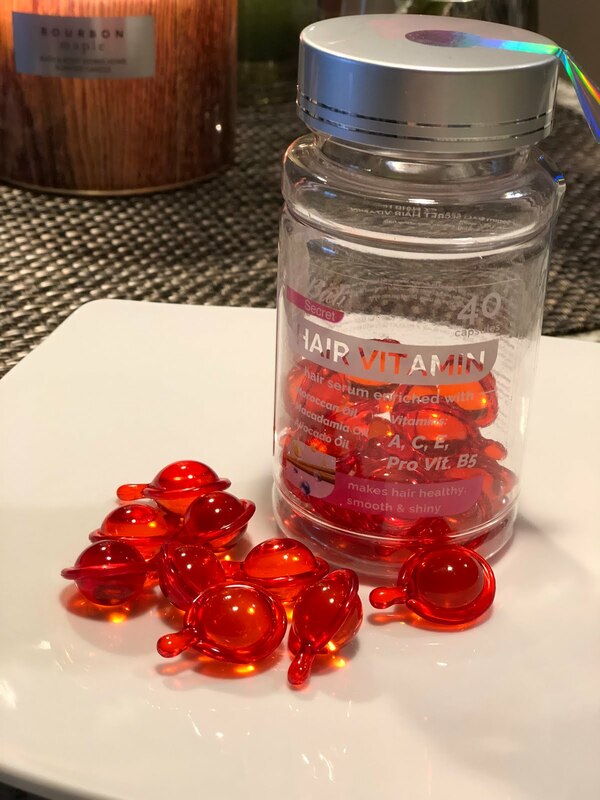 The Bali Secret Vitaman packs a punch inside a tiny capsule. This little dynamo carries Moroccan, macadamia & avocado oil in it. But wait- there's more- it also has vitamins A, C, E & B5. 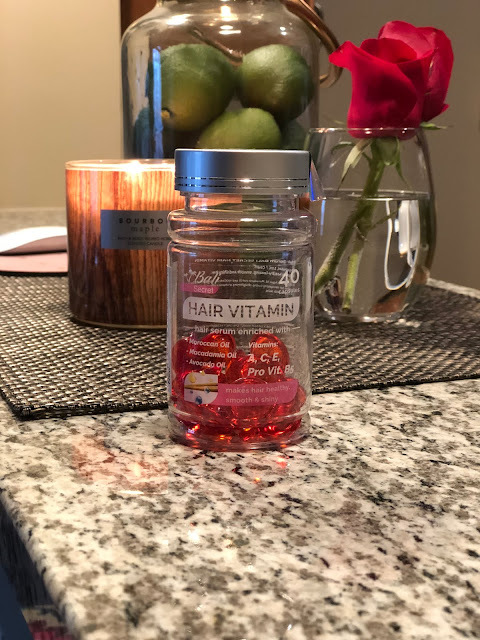 In my experience with hair vitamins, especially Biotin, I always felt as if I was going through bottle upon bottle waiting for my hair to grow like a weed, or maintain the shine I saw when leaving the salon. I was always unhappy but buying more bottles, thinking this will the one where I notice results. These capsules are super easy to use, they can be used after every hair wash. Wash your hair normally, towel dry it and twist the capsule open and squeeze the product out. Apply all over to your hair, but it's my personal experience to avoid the roots- your own body will naturally provide what the roots need. Run through your hair and do not rinse it out. You can air dry or style however you wish. The serum has a sweet smell to it but isn't overpowering. 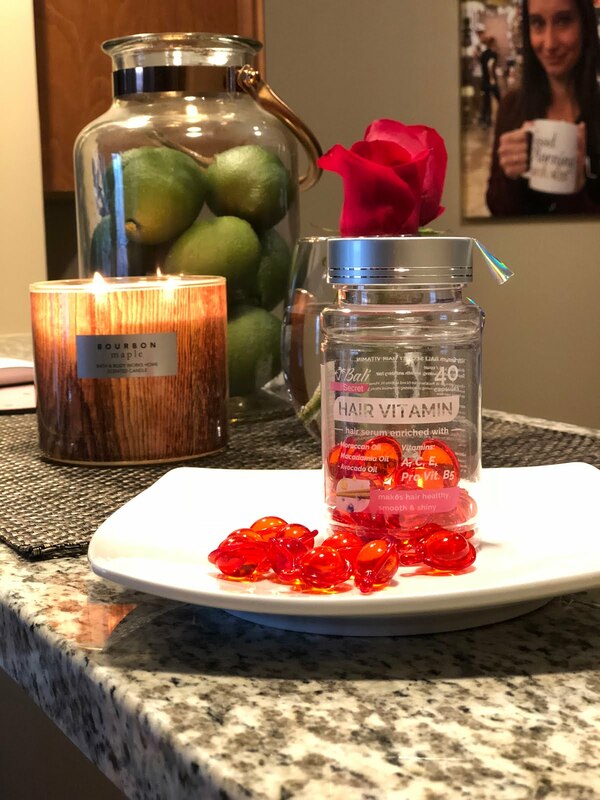 While using these vitamins I have, overall noticed: my hair maintains shine better, is more manageable, is healthier and feels stronger. I also have less split ends. My hair is so much smoother as well, much more so than with smoothing shampoos or conditioners. 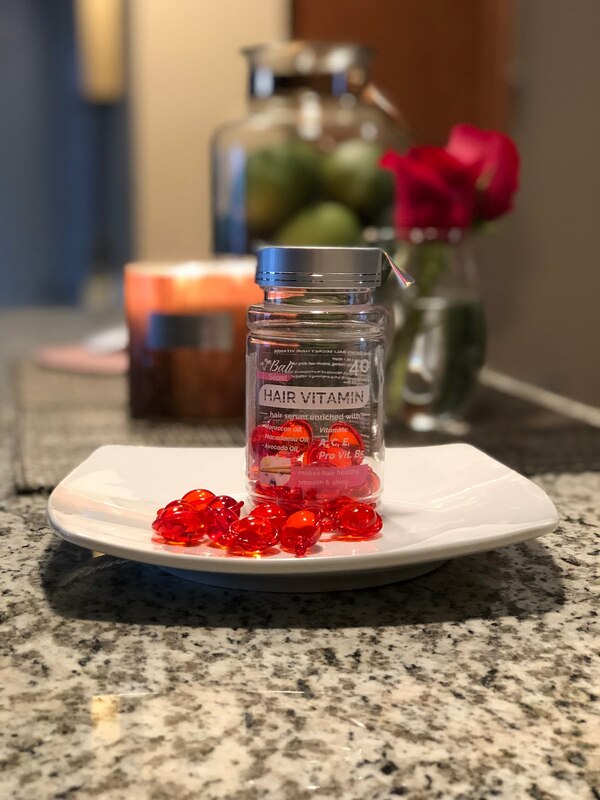 Follow this link to purchase these amazing gems, each bottle contains 40 capsules, and is under $20! Also: they are prime-able. Highly, highly recommend if you wanna step up your hair game.